Social media has undoubtedly become a crucial part of digital marketing today. And inorder to help you harness their power, I am presenting you ten great social media WordPress plugins. You all know that social networking has completely revolutionized the way digital marketing works these days. Many websites are integrating the power of social networking sites into their website to drive traffic and improve their search engine rankings. It has become so integral for websites that the second highest source of traffic for a majority of sites is social media. As a website owner, you need to ensure that you are using these networking sites to the fullest by making it easier for web users to share your content – which can be easily achieved by adding different social media buttons to your site. If you are running a WordPress website, it is remarkably easy for you to add these social buttons to your site since WordPress offers a wide variety of plugins to choose from. However, finding a great social media plugin is certainly more challenging than it may seem, simply because there are hundreds and thousands of them available on the market. 1 Free or Premium WordPress Social Media plugins? Free or Premium WordPress Social Media plugins? You may also find yourself stuck in a situation where you may have to choose between free and paid WordPress plugins. Although free plugins are a great way to get started with WordPress plugins. However, if you are in a position where you can’t take any risks with your business and want to be double sure about anything you do for your website, it is better you go with a paid plugin. The reason? Well, free 24/7 customer service and life-long updates! Therefore, we have pulled together 10 best and premium WordPress social media plugins to help you make your website social media friendly. Monarch is a great social sharing plugin developed by Elegant Themes. Monarch has numerous remarkable features that allow you to make social sharing extremely easy for your users. This plugin comes with 20 different social networks to choose from. However, you can add and manage any number of social networks to build a custom collection of sharing options. Monarch also allows you to add sharing buttons in 5 different locations i.e. above and below content, on images and videos, automatic pop-up, automatic fly in, and floating sidebar. Choose from 35 social networks to display your existing social profiles and their follower counts. Allows you to display follow buttons in the widget area or with a shortcode. Comes with a clean, customizable design. It has a variety of button shapes, hover effects, and colors to choose from. Display social counts and network names. Allows you to choose the native network color or customize the button with your color. Social Buzz is definitely a new way to improve your social shares. It supercharges the way visitors share your content on their social platforms. Social Buzz Plugin allows you to add a shares graph along with beautiful social share buttons. It comes with three different styles to choose from that lets you customize the look of Social Buzz plugin. Best of all, you get free updates for life. 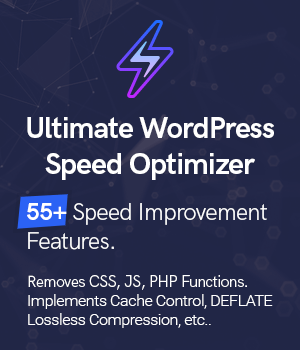 Elegant social media WordPress plugin which is certainly “faster than most of its competitors”. This plugin is developed and launched on CodeCanyon, a leading WordPress theme, and plugin providing company. The plugin allows you to take your social sharing to a whole new level. You can optimize, share, analyze and measure your social popularity with this plugin. It offers 40 different major social networking sites to choose from. Apart from share button, easy social share button for WordPress comes with “print”, “send to mail”, “comments button”, and “love this button” buttons to add. The plugin also allows you to display share button in 20 different locations including top and below of the content, either on top and below of the content, left or right sidebar, and many more. Another exceptionally incredible social sharing plugin is SocialFans. The plugin has a beautiful and clean design. SocialFans allows you to display followers, subscribers, and social media fans from 30 different social networks such as Twitter, Pinterest, LinkedIn, Facebook and more. The social media icons it offers come with beautiful and appealing animations to leave you awestruck. It has many different color skins to choose from such as light, colored, and dark skins. The retina ready and 100% responsive design make it look aesthetically appealing on different devices. SocialFans also gives you an option to switch to lazy load option to provide a fast and light interface for the users. Simple and eye-catching, Social WarFare plugin not only provides you with the most impressive share buttons but also gives you access to highly sought-after features. The plugin has 100% fully responsive design layout that makes social sharing buttons look attractive and presentable. Social Warfare indeed gives you super powers to boost your social shares by 3X without slowing down your website. Make your popular posts boost your website traffic by adding a custom widget that displays the number of social shares it has received. This is a powerful psychological tool to pump up your social shares. Allows you to upload Pinterest specific image and description. Offers share count recovery feature when switching permalinks structures. 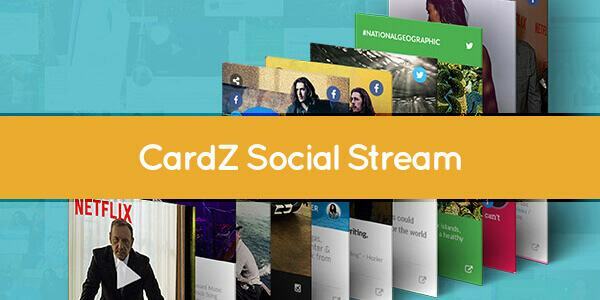 CardZ Social Stream for WordPress is a one complete package for WordPress website owners that lets you perform all your social activities at one place.The plugin allows you to create social stream page in only three steps – select social media platforms and hashtags, copy the embed code and paste it on the page. The plugin allows you to create social stream page in only three steps – select social media platforms and hashtags, copy the embed code and paste it on the page. There are 15 different themes to choose from along with custom animated effects to make your site look even better. Multiple social networks support such as Google+, Instagram, Vimeo, Dribble, Facebook, Twitter and many more. Sossy is yet another premium social sharing WordPress plugin developed by Codecanyon. The plugin allows you to build a responsive social profile with social media fans/followers count, descriptions, cover, and image.You can also easily change the style/display with manageable display options. The plugin offers a drag and drop social media ordering to make management and arrangement of social media buttons easy. You can also easily change the style/display with manageable display options. The plugin offers a drag and drop social media ordering to make management and arrangement of social media buttons easy. Social Share And Locker Pro WordPress Plugin is an ultra modern social media plugin that helps you advertise your content on social media platforms. With a few clicks of the mouse, you can set up social media icons exactly where they should be.In addition, Social Share And Locker Pro WordPress Plugin offers 10 predefined themes that are flat retina template style and developed with the best typography and CSS3. In addition, Social Share And Locker Pro WordPress Plugin offers 10 predefined themes that are flat retina template style and developed with the best typography and CSS3. Another great plugin to consider adding in the list is AccessPress Social Icons Pro that lets you create numerous social profile links and icons right from your site.AccessPress Social Icons pro plugin is fun to use since it lets you create, customize and develop icons for social media profiles. It comes packed with 16 different sets of icons and allows you to add your own custom icon. You can also choose from 105 font awesome icons, style/color theme as per your preference. AccessPress Social Icons pro plugin is fun to use since it lets you create, customize and develop icons for social media profiles. It comes packed with 16 different sets of icons and allows you to add your own custom icon. You can also choose from 105 font awesome icons, style/color theme as per your preference. Image Sharer is yet another popular social sharing plugin which is developed by SumoMe to help you drive social traffic to your website. Image Sharer, as the name suggests, allows you to make your website images shareable – which means you can add share buttons to your images. It comes with a wide variety of share buttons to choose from such as Yummly, Twitter, Facebook, and Pinterest. Image Sharer gives you an option to customize the location of the share buttons such as on the right, bottom, top, left or in the middle. Social media marketing cannot be overlooked. Having social media buttons on your site is not only important but also has become the need of the time. And if your website is powered by WordPress, incorporating these share button into your site seems super easy.Since there are a huge number of plugins to choose from, you have to wise and clever when choosing a particular one for your site. Since there are a huge number of plugins to choose from, you have to wise and clever when choosing a particular one for your site. WOW, such a great list of social plugins. I actually need a social media aggregator wordpress plugin because I am currently working on a community based design blog which will show latest posts from top design, photography and wordpress blogs ( including yours ). Can you please suggest me any fixed social media bar wordpress plugin. I have gone through your list and most of the addons which you have listed here have the feature I require, but they all seems to have too many features and advanced settings. I feel like getting lost setting up them. I just need to add few social media buttons and that’s all. Hi, first thanks for such a great list of social plugins for wordpress. I am really impressed by the indepth review which you have provided on each and every individual plugin. I have one question to ask. I currently need a floating social media wordpress plugin which could allow me to change the icons and the background color. I like monarch and easy social share and I am confused between them. Please suggest me the best one. See monarch is the plugin which is developed by a leading theme developer named Elegant themes. If I need to install any social plugin then I will go with it. I need a social media wordpress widget plugin. I want to show all of my followers on the sidebar of my personal blog. Please suggest me one and thanks to Emma for such an indepth list of plugins. Cardz is the plugin you need. It can show social followers from all of your social networking profiles and you can also customize the background color. Furthermore all of its design are mobile responsive. Hi, first thanks for such a great list. I am rally confused as all of them seems to be perfect considering my requirements. I just need to know, which is the best social media marketing wordpress plugin account to you, Emma. I really like monarch and easy social share as they support multiple layouts and have great and easy to customize control panel, but I cannot install both of them. I think monarch is the best social media plugin and thats the reason why it has been listed on the top of the list. Really nice article. Actually I was searching for social media sharing plugin for my wordpress blog and came across your site. Let me try out listed plugins one by one. So I can work around and choose one of best suitable for my blog. Quality blog post thanks for this wonderful contribution. I would like to suggest one more extension to add in this list. Share On WhattsApp Magento 2 Extension https://goo.gl/Cbtj35 hare on WhatsApp extension for Magento 2 allows customer to share and promote their products on WhatsApp with just one touch. I hope you will like it. When I was new to Social media I am having a hard time what WordPress plugins should I use. Then this Social Warfare was introduced to me by my friend. It is good for starters, it makes it easy to add eye-catching social share buttons to your content. You can choose whether to add them to posts or pages as well customizing their look and feel. thanks for that nice list. Do you know the Social Media Plugin Blog2Social ? I use Blog2Social to schedule and cross-post my blogposts. This Plugin allows me customize my posts with individual comments and hashtags for each network. That is a brilliant article on social media plugins. Must acknowledge the effort behind compiling this list. Kudos to the writer. I think Shareaholic is a brilliant social media plugin as well. It is one of my personal favorites because of its content recommendation feature.